You’ll recall that a deposition is your account of the incident as you remember it. The defense attorney will ask you questions. Your deposition will be recorded, and you may be under oath. Your Newport Beach accident injury attorney will prepare you and explain why this is a very important part of your case. If you’re asked if you have given other written or oral statements about the incident, make sure to answer honestly and explain if it was recorded and by whom. You may be asked to diagram or draw the scene. It’s a good idea to do this ahead of time and show it to your Newport Beach accident injury attorney. Make it clear that this is the best of your recollection and that you’re not an expert on measurement. Don’t worry if you’re asked if you have talked about the case to others. You can be honest and explain that you have talked to your Newport Beach accident injury attorney or to your family and friends. Do not look to your Newport Beach accident injury lawyer for each answer. You are only there to relay what you can remember. 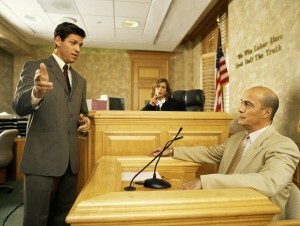 Your attorney will step in if you need it but if you don’t remember a date or time just answer the best you can. Your attorney may not ask you any questions. They may ask you to clarify an answer, but other than that, typically an attorney does not ask question of his or her own client during a deposition. For more information and to set up an appointment, call Russell & Lazarus APC at 949-851-0222.